A Massive cyber attacks using an ransomware named "WannaCry" have been done that was stolen from the US national Security Agency (NSA). A security firm Avast have reported that they have identified 75,000+ systems that were affected by the WannaCry ransomware or a variants of it. According to the reports, this is biggest cyber threats that happened globally infecting 100 countries within 24 hours. All the biggest countries, Russia, China, etc have been infected by this Ransomware. There were about 40 National Health Service (NHS) that have been hit with this threat, with operations and appointments cancelled. Most of them were affected in England and Scotland. The malware spread quickly on Friday, with medical staff in the UK reportedly seeing computers go down "one by one". 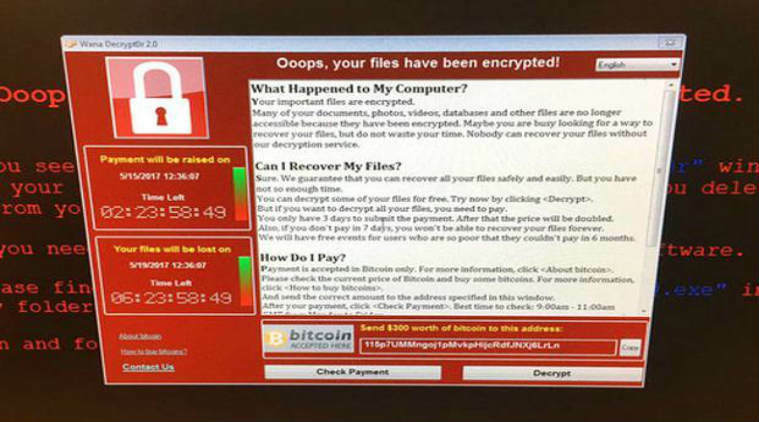 NHS staff shared screenshots of the WannaCry programme, which demanded a payment of $300 (£230) in virtual currency Bitcoin to unlock the files for each computer. WannaCrypt ransomware was stolen from the National Security Agency (NSA), that were made public by group of hackers known as The Shadow Brokers. The reports says that this exploit was mainly for targeting Windows systems loophole that was identified by NSA. For this security weakness Microsoft had already released a security patch in March. System that had been updated with the patch were in safe side.